Chimney blockage usually happens as a result of ash or creosote build-up, collapsed chimney liner, or from bird and animal nests. Over time as more debris accumulates, chimney blockages form which are very dangerous if not fixed. If you have a chimney blockage and you use your fireplace, your home can fill up with noxious smoke and gases or a chimney fire can start which can severely damage your chimney and burn down your home. Don’t endanger the safety of your family and home by ignoring a blocked chimney. Call Chimney Repair NY 1-877-952-7425 and we guarantee we can fix your chimney blockage problem and restore safety back to your home and chimney. We have the top chimney engineers in the business and have been satisfying customers for 20 years. A blocked chimney is also dangerous because it can cause smoking and draft problems. This can lead to toxic carbon monoxide fumes leaking into your home and is especially unsafe since carbon monoxide is invisible, odorless and difficult to naturally detect. 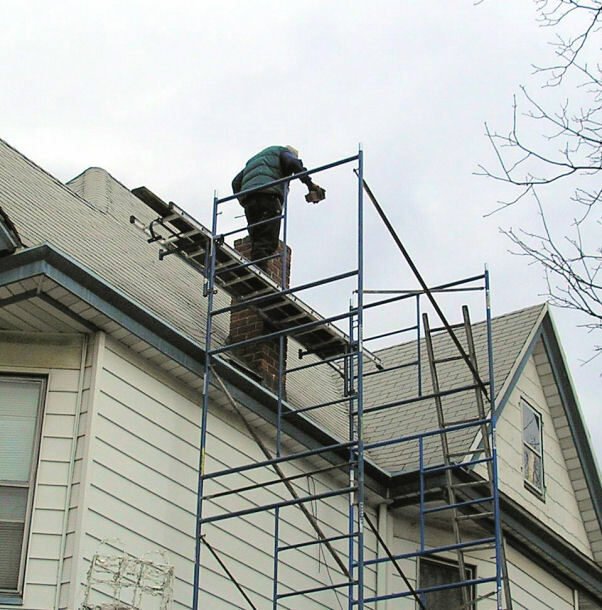 Chimney Repair NY is experienced in identifying chimney blockages with our comprehensive inspections and we do an exceptional job clearing your blocked chimney with NO dirty messes to your home. Call 1-877-952-7425 for first class chimney blockage removal service today or request your Free Chimney Blockage Removal Quote. The safety and security of your home and family is our priority so please keep in mind to have your chimney inspected and cleaned annually.